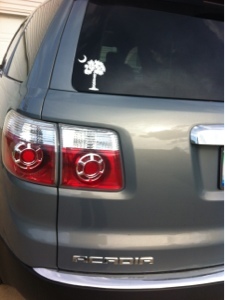 Finally got my SC sticker put on my car. Just a little big of my roots. :) every so often I see one of these driving around and smile. I don't know of too many other states that have a landmark like this that people would know what state they're referring to.